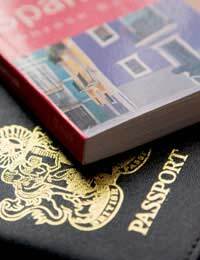 Home > Ask Our Experts > Can Ex Apply for Kids' Passports Without My Permission? Can my ex-partner apply for my 3 children's passports without my permission? They are aged 4, 5 and 6 years. When you split from your partner it is easy to feel very helpless and as though you lack influence on your children’s lives. When you have gone from being involved daily to seeing her making decisions without your consent, it can seem unfair. It is natural to question whether she is legally able to take these steps without consulting you. Who can apply for a passport? Either parent can apply for a passport for their child, unless an objection has been lodged at a United Kingdom Identity and Passport Service office. A child under the age of 16 must have permission from a person with PR for them. If you are separated but still married, either parent can give permission for a child to have a passport. If you are divorced, but were married at the time of or after the child's birth, either parent can give permission for a child to have a passport, unless there is a court order about PR or preventing the child from having a passport. If this is the case, you should send a copy of the relevant court order with your application. Can I get a passport for my child if I don't have parental responsibility? If you do not have PR, you will need the consent and cooperation of the child's mother if you are to obtain a passport for your child. If the child's mother does not consent, she can lodge an objection of her own volition and if the child has already had a passport issued in his or her name, it will be recovered by order of the court and not returned unless or until the court considers it appropriate. In what circumstances can the passport office refuse to issue my child with a passport? I have parental responsibility - what do I need to do next? If you have PR for your child and no objection has been lodged at court regarding your passport application, you must send any court order dealing with your PR alongside your application form. If your child is currently registered on another passport, i.e. your passport or his/her mother's passport, their details will need to be officially removed from them. You should also note that if the child's mother has already applied for a passport for your child, and it has in fact been issued, even if you have PR, you will not be able to apply for another passport for your child. Read on to find out more about when your ex might want to move children abroad or to take them on holiday. I was never with the baby mom my daughter is 7 months and is being difficult ... She has gone to passport office and lied saying she has no contact with me to get passport without me signing is this legal ?? My daughter has decided to come and live with me full time. She is 15. I was married to her mother and am on the birth certificate. She has her passport and won't give it to me. How do i go about getting it off her? Hi, could you please tell me..i have lived with my ex for nearly 2 years.. I'm British she is Romanian..my name is not in the birth certificate as she wanted like that.. never married.. I'm paying child maintenance..can she get British passport for our son cause I'm paying child maintenance? Ex has kids British passports and won't release it. How do I get it off him? @hev. you might have to consult legal advice on this matter and been living with the mother might in fact have to use her address . My husband is applying for passports for both his children from his previous marriage, the children live with their mum but my husband has PR. Can we use our address on the passports? I never married. We only together for 3 month then accident get baby. He not british and he from Nigeria as he don’t have a british passport. My daughter who 5 year old and he already order the court to order register my dsughtr’s Birth certificate so no he want my daughters passport for he stay uk as I refuse because my daughter is autism and he is not good relationship with my child as he just want to get paper as he need copy of my dauhhter’s Passport as I refuse. What happen next? My ex wife has got my 2 children passports without my consent or signature. I have PR and I have a court order in place. I'm worried she's going to leave the country with the girls and not return. What do I do ? Please help !! Hi All, I divorced from my ex recently and have since got happily married to a lady from the USA. On her visa, they require my childrens passport details but I can't get them as have a restraining order against me that prevents me from talking to her. I need the details as she can't get her visa without them. Is there any way I can...desperate, please help. Hi guys my sons mother has apparently got my son a passport without my permission and I have PR when I signed his birth certificate so im just struggling to understand how she could of done this anyone please help. My grandaughter was born in London. Both her parents were born in Belfast and both names are on her birth cert. Her parents are separated. Her father lives in Australia. My daughter is her full time guardian. She wants to get an Irish passport for my grandaughter but the child's father has refused to sign the form. She had an Irish Passport from birth til 2 years old. She has had a British Passport since and it runs outnext year. I read that she needs to get a Specific Issues Order. does she have to apply to Court in N. Ireland for this? Can you advise please? Thanks. No. However, your ex partner (if he is registered on the birth certificate and has PR) will need to give his consent if you wish to take your children out of the country. Please see the link here. Hi I have my daughter's pass port but my ex partner keeps threatening to take my daughter.He's on the birth certificate to my knolaged he has no copies of it can be apply for another pass port with out me knowing ? Hi, my partner's ex wife keeps with holding his son's passport despite it being written in a court order that she is not allowed to do so. Every time we try and go abroad it is a battle to get it from her, she uses it as leverage e.g' if you don't have him an extra night you can't have it'. It is due for renewal as it has expired, she said only she could apply so naively my partner has given her the money to renew it and for the photos and she is still refusing to do it despite agreeing initially for us to take him on holiday. Who has the right to hold the passport? If we do manage to get her to renew it and give it us to go away do we have to give it back? What is the process of having it being held at solicitors if she objects when we refuse to return it? my sons father has got my sons passport with out my knowing about it, we was never married and are both on the birth certificate. do i not have to sign the forms? also can he just do this with out me knowing about it? Hi. I need help. I split from my partner and now he’s holding my sons passport. He was the one that sign the first time and I know he won’t give me the passport back and he will not sign the form again. There is no way we can agree with this issue. What can I do to have my sons passport without asking him anything? Can I apply without his signature? You can see more about applying for the passport and what you need via the link here. In addition, you must get the permission of everyone with parental responsibility for a child or from a court before taking the child abroad, please see link here . Hi I have a passport for my son which I applied for with his mother's consent, I also have parental responsibility as I am on birth certificate,do I have the legal right to hold this passport? Much depends upon why you are holding the passport. If you are holding the passport in order to prevent your child's mother from taking her outside the country (i.e for a holiday), then your ex can apply to court to have the passport released. The child can only have one passport and if you are holding it, then you are preventing the other parent from leaving the country, in which case who holds the passport would be up to the court to decide (if you both cannot decide through mediation which should be your next consideration if you as parents cannot agree).